A lot of small businesses are managed by the owner, especially in the early years of a business’s existence. As the owner is intimately involved in the day to day operations of the business, it is easy to keep control of expenses. 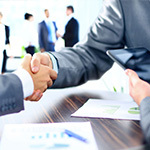 As a business grows, however, it may become necessary to appoint employees to assist the owner in running the business. It is inevitable that a time will come where the owner will have to delegate certain financial powers to employees and trust them to spend the business’s money wisely. This is where a budget and the budgeting process can be of immense value. To put it simply, a budget is a financial plan for a certain period in the future based on a combination of the current financial position and a projection of expected income and expenses for said period. Combining a business’s income, expenses and financial goals into one overall plan will give a clear picture of where the business is at in financial terms and how to proceed to reach those goals. Drawing up a budget requires that the owner and/or management think about goals for the business and how to finance them. 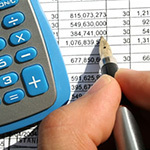 If there is more than one goal, the goals will have to be prioritised to determine which goal(s) the focus will be on for the period of the budget.A thorough budget should ensure that the business have sufficient capital available when needed for large expenditure items like replacing expensive equipment or taking on new business ventures. Including the financial implications of future growth and expansion in the budget will ensure that the business has capital on hand to allow it to make quick decisions about opportunities for expanding operations. Budgeting can help you to determine in advance when you will need money and how much, thus preventing crises due to a shortage of funds. It is especially important for businesses with seasonal business cycles to have a safety net for the months when business will be slow. A budget acts as a guide to help employees understand what the owner’s priorities for the business are. Typically a budget will set targets for expenses and income for each department or cost centre. It is, however, important that the targets are realistic and achievable, and that each manager knows what the owner’s expectations are for the period of the budget. During the process of drawing up a budget each expense item is put under the microscope. It is the ideal opportunity to determine which expenses are essential and which ones can be eliminated. A budget can assist management in controlling expenditure by establishing boundaries in order to eliminate spending that is not in line with the business’s plans for the future. Limiting spending on expenses which are not part of the plan ensures that money is allocated to the important areas. Using a budget enables the owner and management to measure their actual progress and performance against the budget. If they see that they are deviating from budgeted figures they can take appropriate action or, if the budget was unrealistic, the budget might have to be adjusted. A budget is a flexible tool and needs to be adjusted if it does not work or if the circumstances on which the budget is based, changes. As market conditions, technology and employment requirements change all the time, a budget will have to be reviewed regularly to be of any real value. Knowledge is power and drawing up a budget will give the owner detailed knowledge of the current position, potential destinations and possible ways to finance the journey from where the business is now to where it can go. To answer the question posed in the heading of this article, whether budgets are worth the effort needed to draw them up, the answer would be a resounding “Yes”! If the banking details of an employer, as defined for Employees’ Tax (PAYE) purposes, changes, the employer must request SARS to change its banking details, otherwise SARS can impose a fixed penalty in terms of the Tax Administration Act. A fixed penalty is based on the amount of the assessed loss or taxable income of the employer for the preceding tax year. 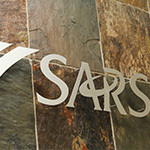 SARS will not accept requests for change of banking details by telephone, fax, email, post or SARS dropbox. The employer (if the employer is an individual), or a representative employer who must be a natural person e.g. accounting officer, member of a close corporation, treasurer, partner, etc. This person must already be registered on the SARS system as the official representative of the legal entity he/she represents. A tax practitioner who is registered with a controlling body and SARS, and can present a valid power of attorney. A representative with a once-off mandate e.g. bookkeeper, auditor, director, tax practitioner or an employee of the tax practitioner, attorney, etc. The representative with the once-off mandate must be linked to a tax practitioner on eFiling in order to change the employer’s banking details on eFiling. The above requirements place an additional administrative burden on taxpayers. However, it is clearly to the benefit of both SARS and the taxpayer to ensure that banking details are not changed illegitimately at SARS. If you need more information or professional assistance regarding the above, please contact our offices. 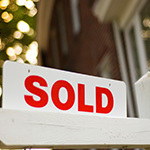 More than 50% of the house is used for private purposes. If the proceeds is more than R2 000 000, the amount of the capital profit/loss exceeding R2 000 000 will be taxable. When a property is bigger than 2 hectares, the portion of the capital gain/loss relating to more than the first 2 hectares, will be taxable. Where a person or his/her spouse did not live in a primary residence for any period after 1 October 2001, the primary residence exclusion will not be allowed for that time period. If any part of a primary residence was used for trade purposes (e.g. if you used your study to run a business from), the portion of the primary residence exclusion relating to the part of the primary residence used for business purposes will be taxable. Personal belongings used more than 50% for personal purposes, for example a car, a caravan, an art collection or household furniture. The capital gain/loss on the disposal of a boat up to a maximum length of ten metres and which was used for private/personal purposes. Aircraft with an empty weight of 450 kilograms or less. suffers from ill-health or infirmity, or is deceased. Second-hand policies are not excluded unless they are pure risk policies with no investment/surrender value.